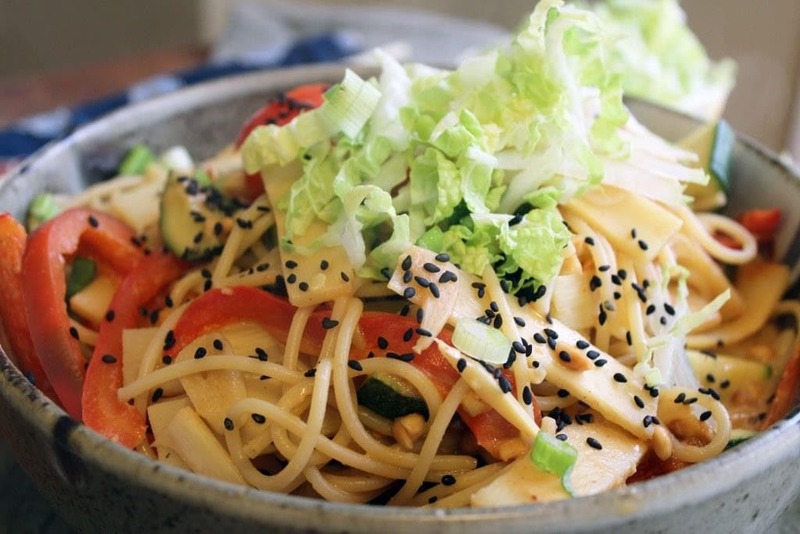 For this gorgeous, EASY dish, you need long noodles, zucchini, bell pepper (any color, but yellow/orange/red adds a really nice sweetness), garlic, peanut butter, green onion, lime, cabbage, sriracha or other hot sauce, bamboo shoots, soy sauce, rice vinegar, and sesame seeds. Super yummy stuff and fresh flavors abound, which I love. First, we’ll start a big pot of water to boil for the pasta while we make the sauce. When the water boils cook the pasta to al dente with lots of salt, then drain so it’s ready to use when the sauce and veggies are done. Right before you drain the pasta, reserve 1 cup of the cooking liquid for the sauce. Now, grab your peanut butter! All natural crunchy is my drug of choice, but use any kind of peanut butter you like. If you have smooth peanut butter you can add some chopped peanuts to the finished dish for extra crunch, but using crunchy omits the need for one extra ingredient. 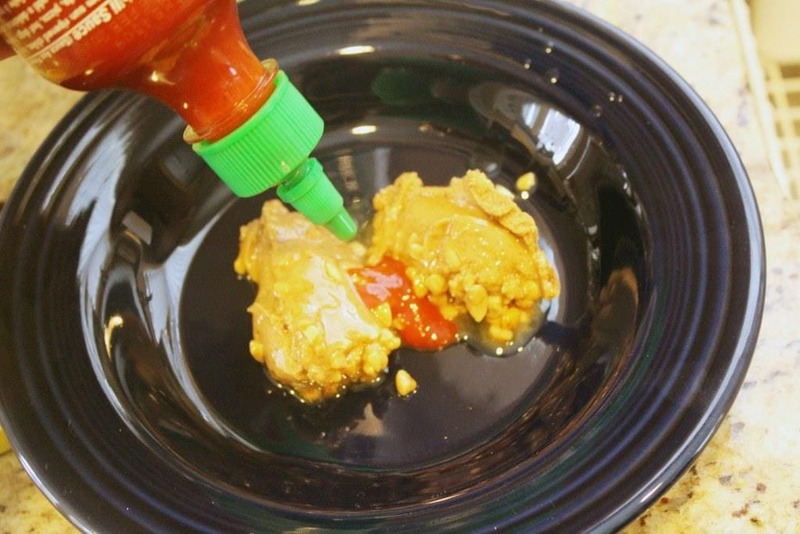 In a bowl, add the sriracha to the peanut butter – how much you use is up to you! I say start with a teaspoon, taste, and add more as you’d like. We end up using 1-2 TABLESPOONS because Jay only likes food that makes him sweat. To the same bowl, add the soy sauce and rice vinegar. Using a whisk or fork, mix the sauce all together – if it’s a bit lumpy don’t worry, it’ll come together with the pasta water later on. Let’s move on to the veggies. 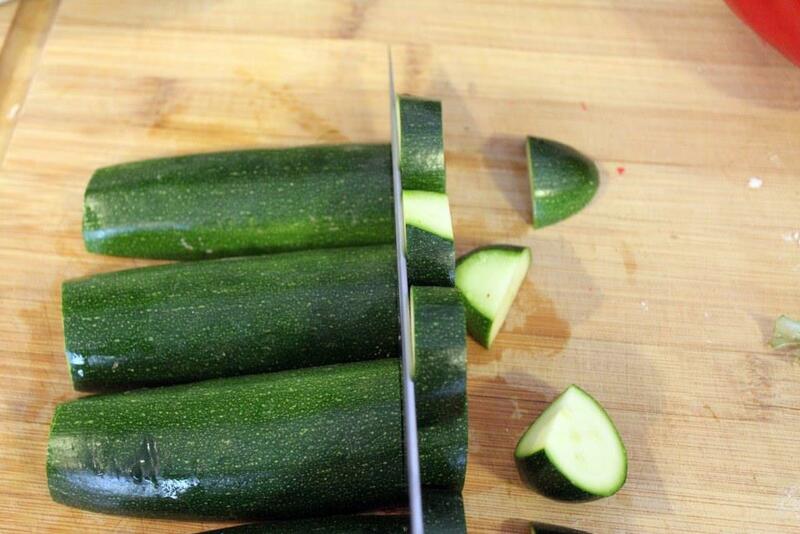 Preheat a large skillet to medium-high heat with some cooking spray or olive oil, and cut the zucchini into bite-sized chunks. 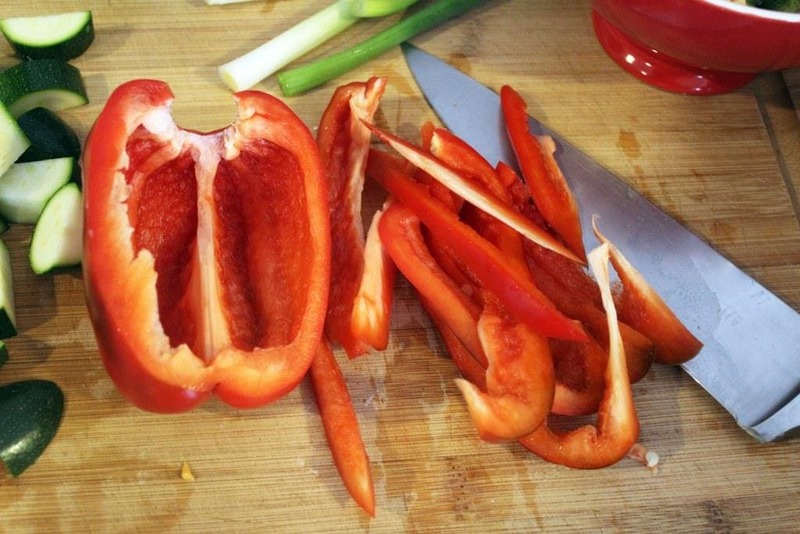 Then halve and gut the bell pepper and cut each half into thin strips. Please don’t do the thing where you cut off the top and bottom of the pepper, throw that away, then only use the sides. It’s incredibly wasteful and makes me sad in my heart. 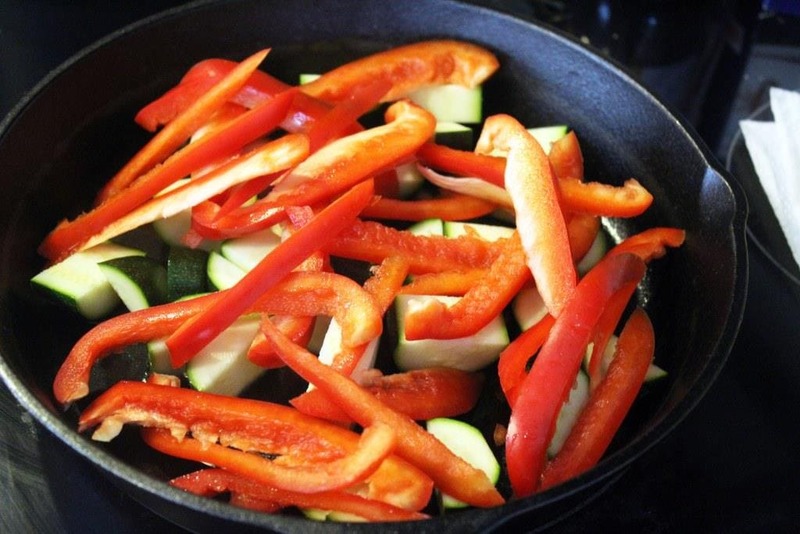 To the hot pan, add the zucchini and peppers and LET THEM SIZZLE. We want the veggies to keep most of their crunch but get a bit brown on the edges, so only stir them every 2 minutes or so. 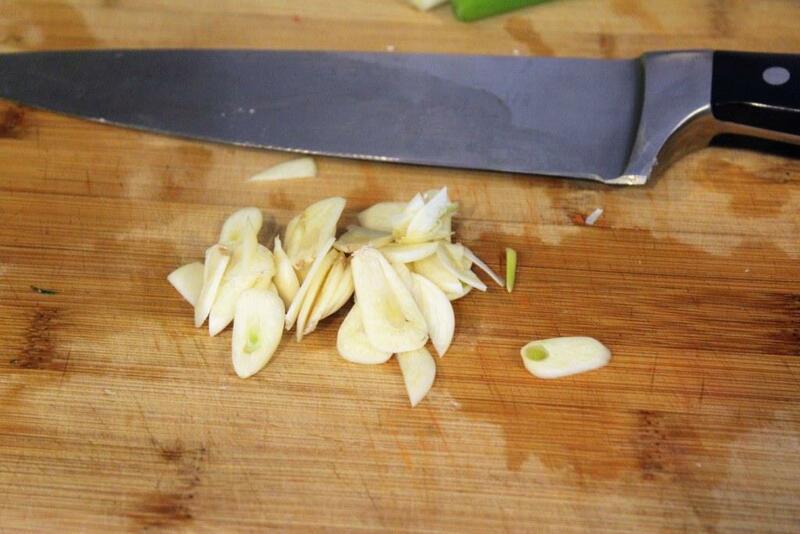 While the veggies are cooking, peel and thinly slice the garlic. Add the garlic to the veggies, and cook for a few more minutes until the garlic is fragrant and the veggies are slightly charred but not cooked through. 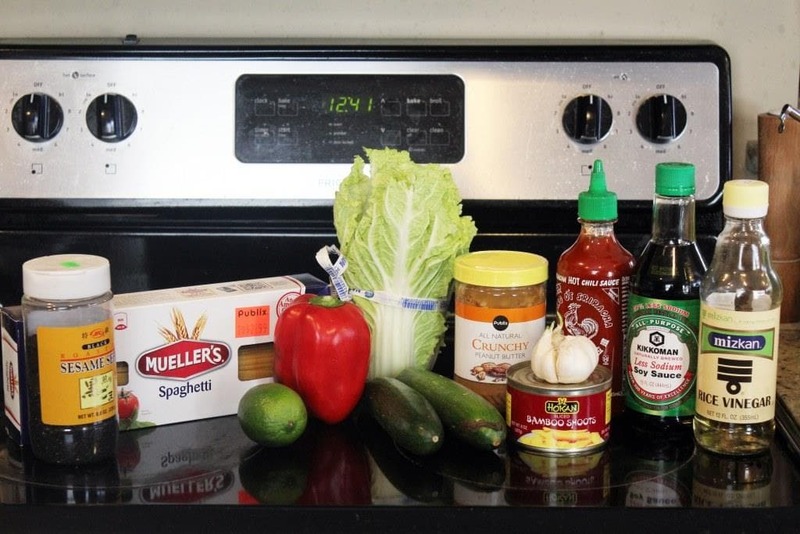 While the veggies finish cooking, prep the toppings for the noodles! 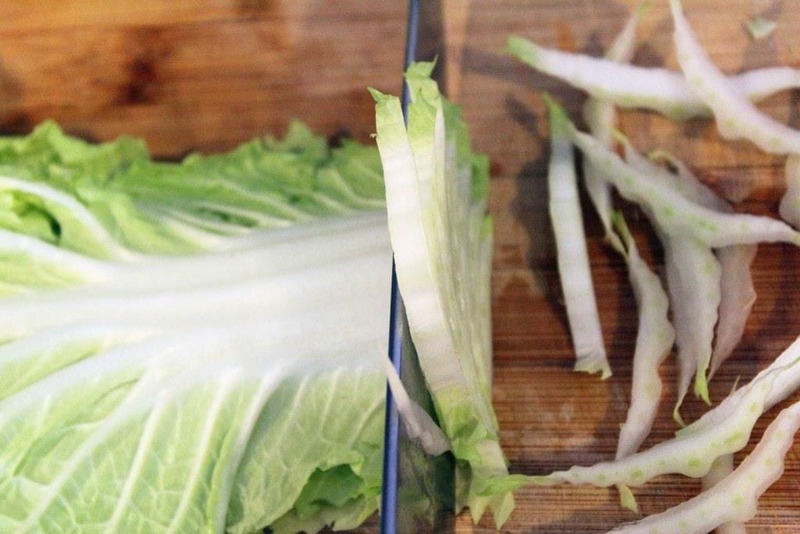 Thinly slice the cabbage (use any kind you like!). 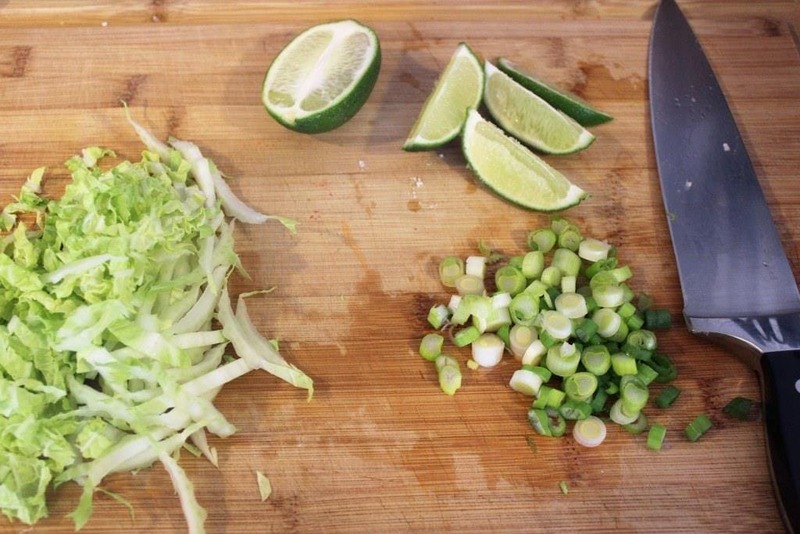 Cut the lime into wedges and slice the green onion, too. Drain the bamboo and add it to the vegges, then remove the veggies from the heat. We don’t want them to cook too much! 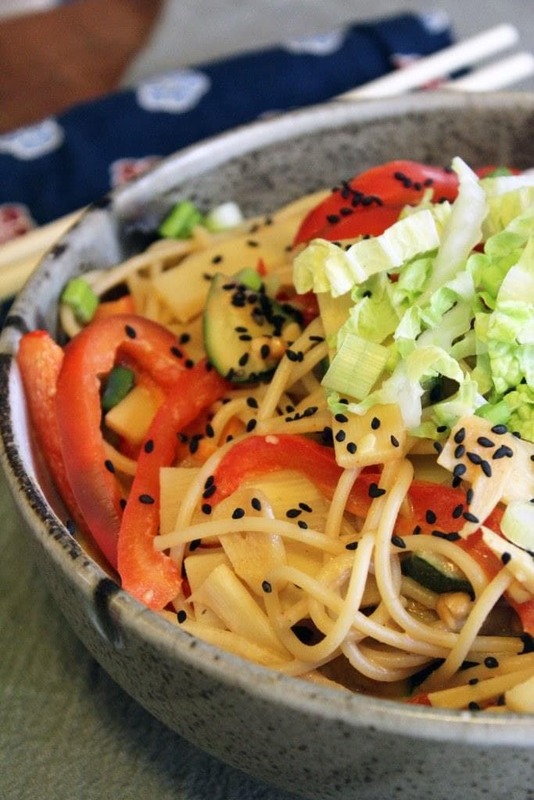 Now, we should have pasta, reserved pasta water, peanut sauce, cooked veggies, and raw toppings all ready, right? RIGHT. 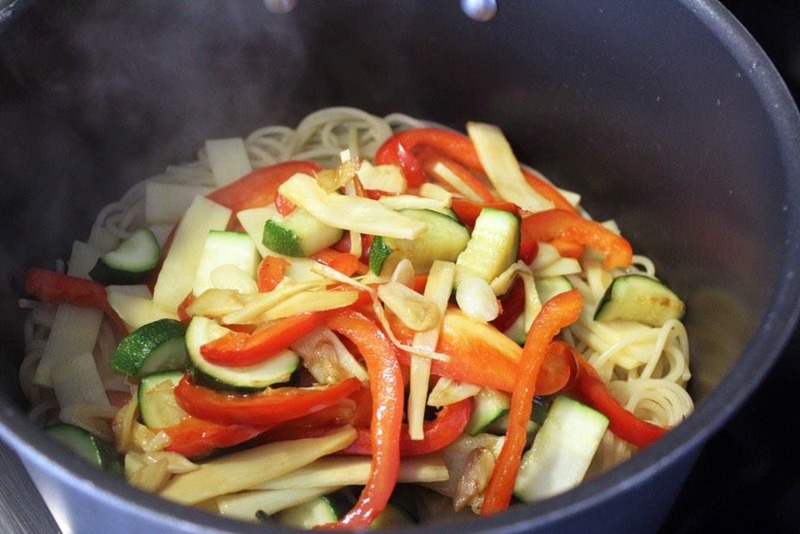 To the pot you used to cook the pasta, toss the pasta with the veggies. Then pour the sauce over everything! 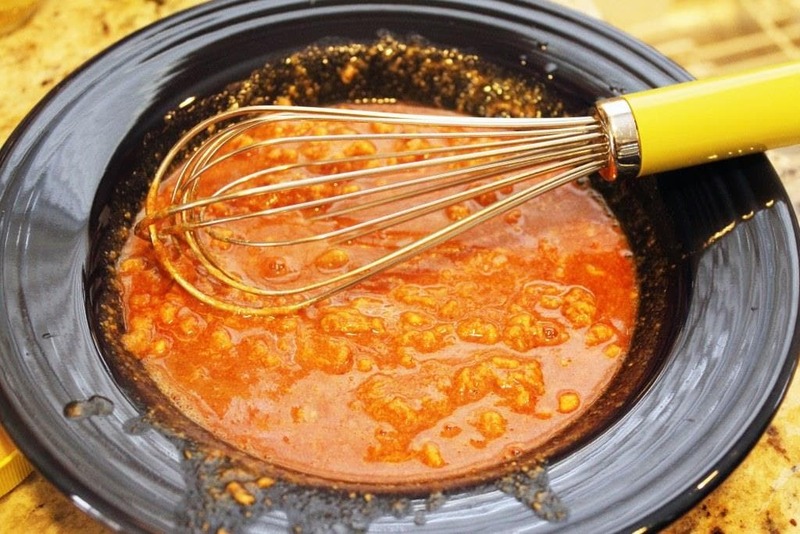 Use tongs to mix the pasta together, adding pasta cooking water a splash at a time to coat everything evenly. If you forget to reserve cooking water from the pasta don’t freak out, just use a little warm water or vegetable stock. When everything’s combined, taste the pasta and add more sriracha for spice or soy sauce for salt. 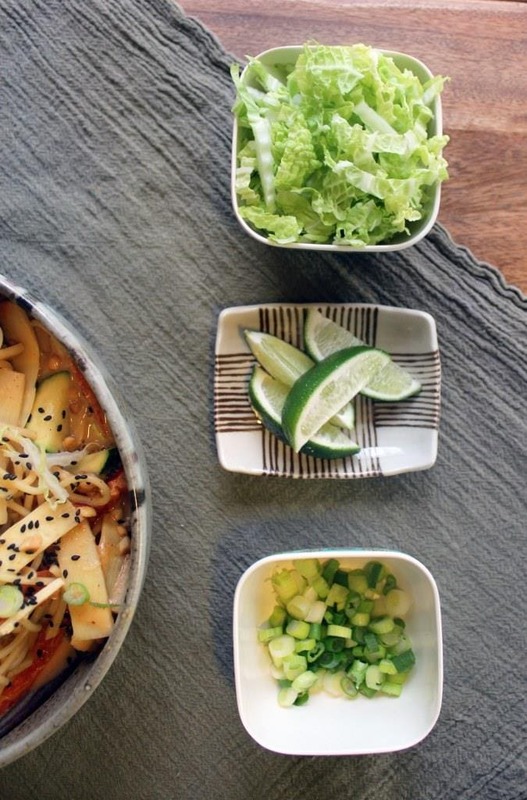 Top the pasta with the sesame seeds, cabbage, and green onion, and serve with a lime wedge. Pretty! This. Is. Effing. Awesome. Like popping tags, or anything else that your consider particularly awesome. The flavor of the peanut butter isn’t too strong, but adds a really nice cozy feeling that contrasts with the crunchy veggies. If you don’t like bamboo you can leave it out or sub for another Asian-style canned veg like water chestnuts or baby corn. You’re in charge here. Try this soon, friends. It’s REALLY special but so easy at the same time. The whole thing can be done in half an hour and is full of veggies and flavor. Make it. Maybe to cheer up a Monday night? Think about it. 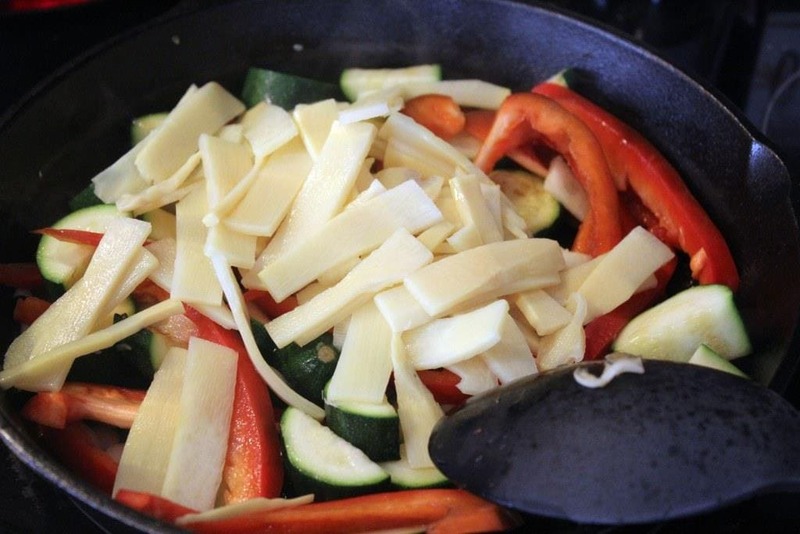 Preheat a large skillet to medium-high heat with cooking spray or a drizzle of olive oil. 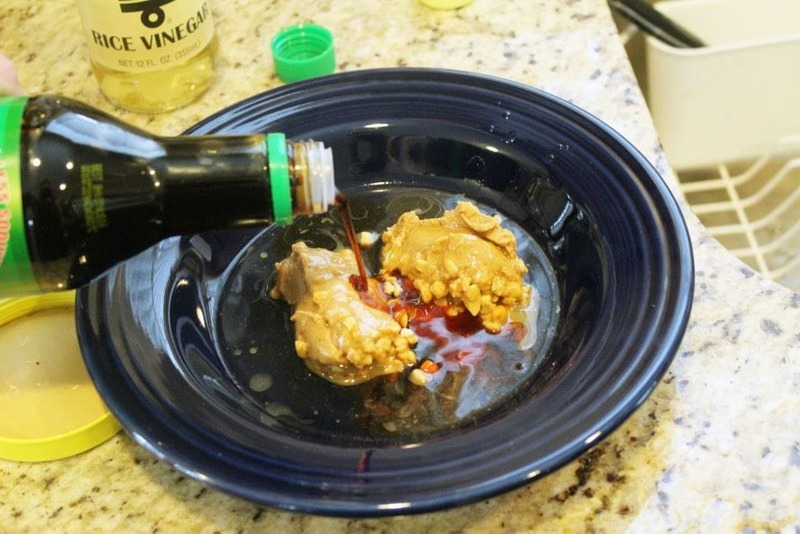 While the pan heats, combine the peanut butter, vinegar, sriracha, and soy sauce in a bowl with a whisk or fork. Mixture will be slightly lumpy. Taste, and add more sriracha to your taste, then set aside. When the pan is hot, add the zucchini and bell pepper and toss for 3-5 minutes until charred on the outside but still crisp. Add the garlic, and cook for 1 minute more until fragrant. Add the drained bamboo shoots and turn off the heat. 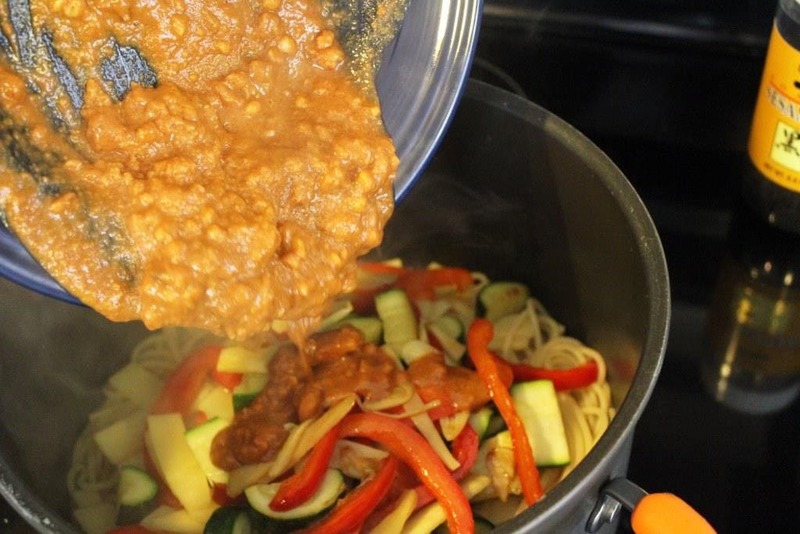 To the pot you used to boil the spaghetti, toss the pasta, peanut sauce, veggies, and a splash of the reserved cooking water with tongs until combined. Taste, and add more cooking water to thin the sauce, more soy sauce for salt, or more sriracha for spice. 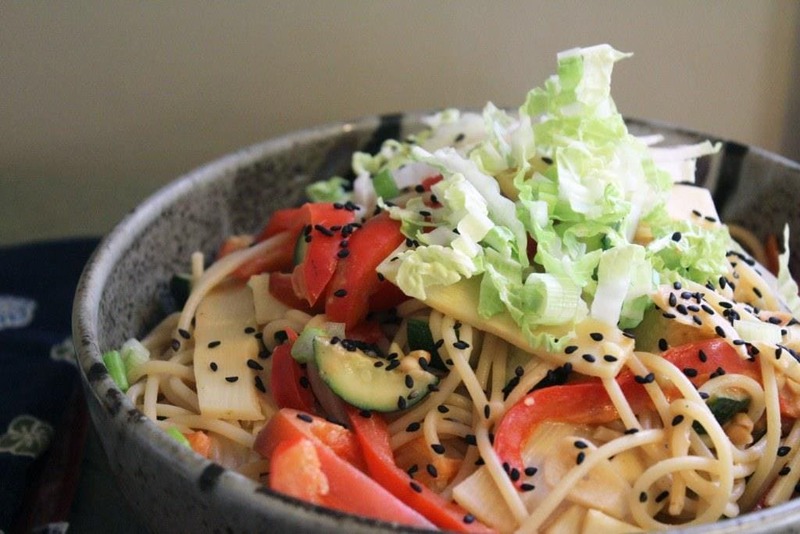 Serve in bowls topped with cabbage, scallions, sesame seeds, and a lime wedge. 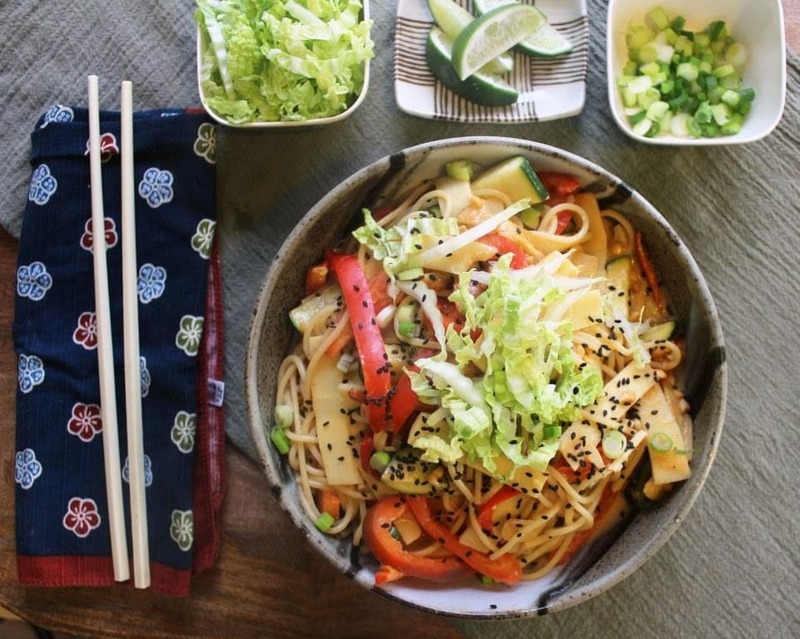 If you don't enjoy bamboo, omit or replace with another Asian-style canned veggie. If you don't use crunchy peanut butter, feel free to add some chopped peanuts to the mixture at the end to add some crunch. If you forget to reserve pasta water, no worries! 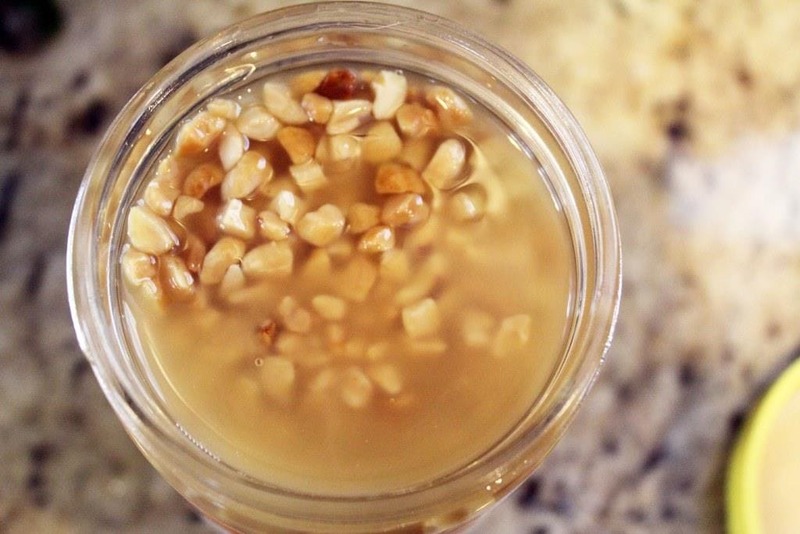 Splash in some warm water or vegetable stock when mixing the sauce with the pasta. Shared with weekend potluck. Head over to join the fun! This looks really good! 🙂 When I was younger my mom used to make something similar, except it was served cold. It would be great cold with a tiny bit more vinegar! Any temperature…this one can’t be messed up.